Angela has devoted her life to training dogs, taking a keen interest in the rescue world. She has been a professional dog trainer for 12 years, including at one of the largest and oldest rescue organizations in the world. She teaches group classes, provides private lessons, and conducts seminars at Tucker Pup's. Like all of our trainers, she only uses positive reinforcement and wants to help ensure that dogs are well-mannered and don't end up in a rescue. 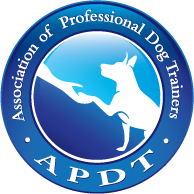 Member of Association of Pet Dog Trainers (APDT). In the mid-2000's, Angela quit her job in order to work with dogs. She became a training apprentice at the Anti-Cruelty Society (ACS) in Chicago, in their School of Dog Training. The ACS is one of the oldest and largest rescues in the world, and has been in operation since 1899. At the ACS, she learned from many trainers who were highly experienced and well-regarded, and became a Senior Trainer. She conducted countless classes there for eleven years, helping thousands of dogs and people with issues ranging from puppy obedience to leash reactivity, aggression, separation anxiety, and much more. She was also a professional trainer at Petco for five years, using positive reinforcement to help with common behavioral challenges. Angela has maintained a prominent role in a local rescue organization, C.A.R.E. (Community Animal Rescue Effort) since 2010. Her many roles include advanced training volunteer coordinator, board member, canine medical director, canine foster coordinator, and kennel captain. The Irving Park Community Food Pantry (Pet Food Corner). Angela owns seven dogs, all of whom she rescued.